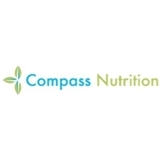 Compass Nutrition (New York) - Book Appointment Online! We teach our patients new skills or reinforce current skills, so that they can get to know and trust their own body cues, move away from diet rules (and rule breaking), learn better and more insight-oriented coping strategies. Our goal is to move towards a more natural, balanced, self-led style of eating and relationship with food. During your appointment, you will find that our treatments go beyond issuing short-term meal plans. We help our patients figure out what got their eating off-track and what perceptions, attitudes, and life-style habits are contributing factors. Whatever your needs are we can individually assess and design a plan that is right for you and your goals.